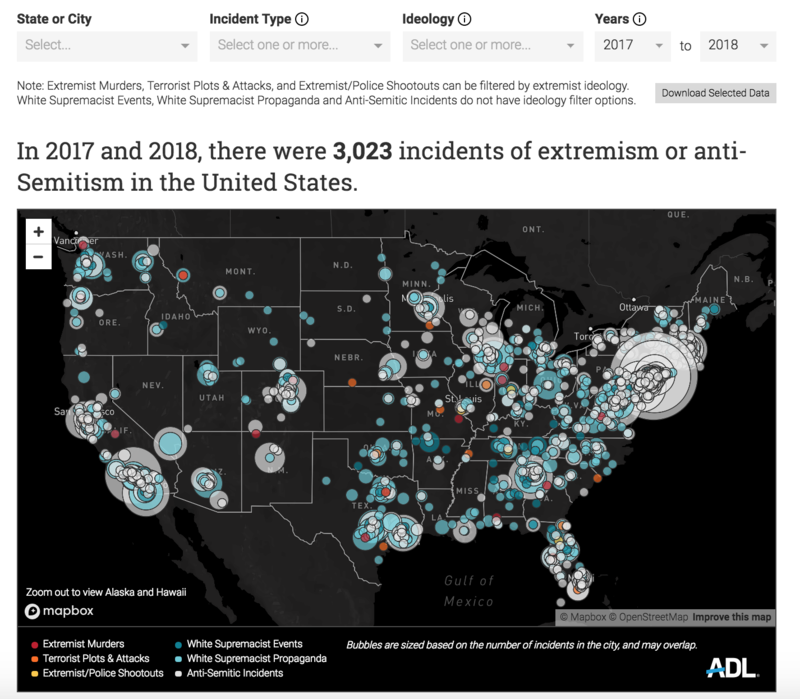 We partnered with Advomatic and their client, the Anti-Defamation League, to visualize incidents of extremism and anti-Semitism around the U.S.
Advomatic and the Anti-Defamation League approached Graphicacy with an idea for an interactive map of extremism and anti-Semitism, to be launched in conjunction with the anniversary of the white supremacist rally in Charlottesville, VA. We designed and built the H.E.A.T. 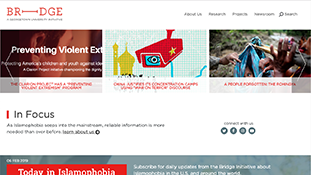 Map (Hate, Extremism, Anti-Semitism, Terrorism), an interactive tool to showcase their groundbreaking dataset. 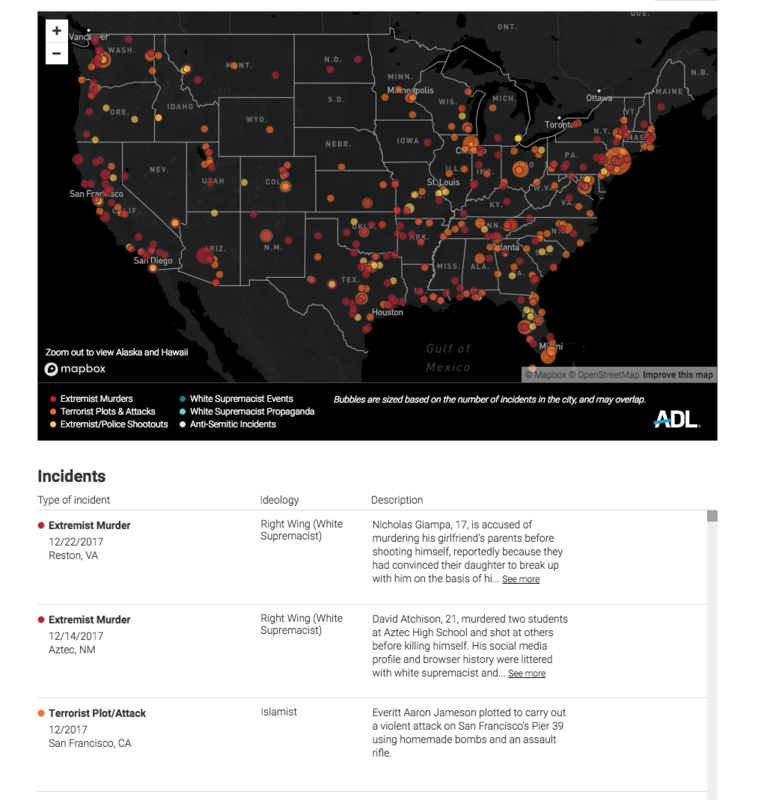 The data provides a sobering look at hate and extremism in the U.S., tracking incidents of violence motivated by white supremacist and other extremist ideologies. 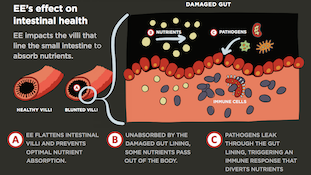 The gravity of the topic led us to use a dark base map style and corresponding color palette. 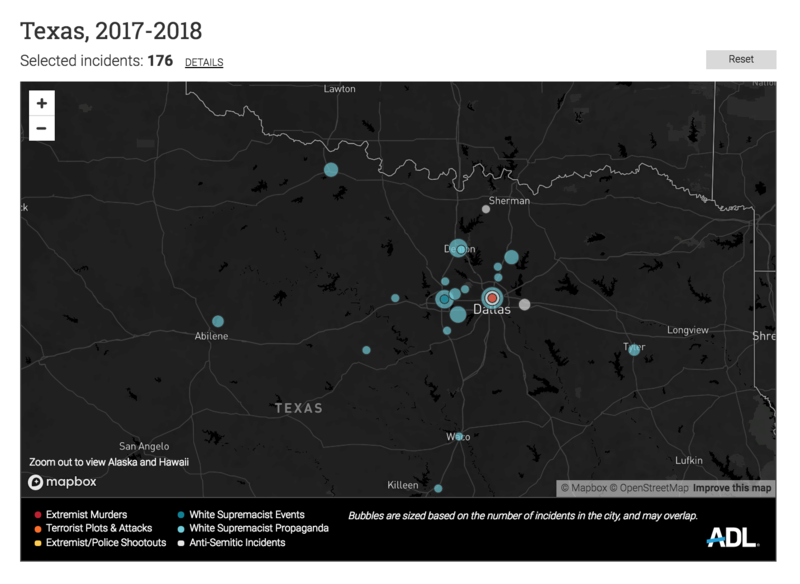 Users can filter to particular ideologies, types of incidents, or geographies, and view detailed information about each incident in the table below the map.